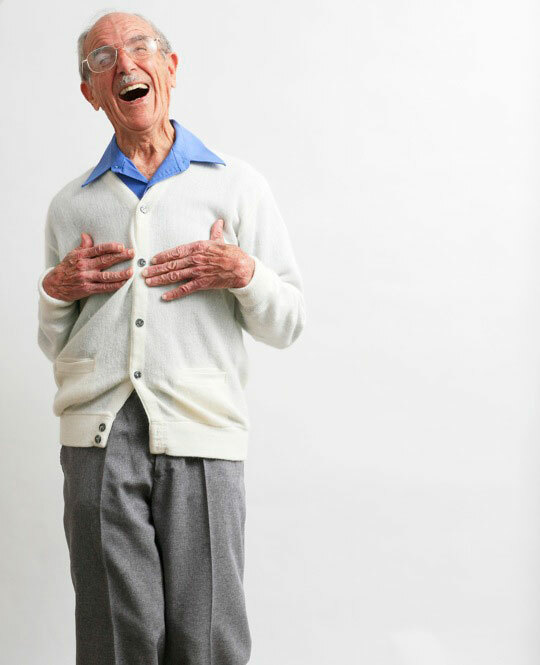 2008 Michiganian of the Year, Jack Fowler, laughs as he gets his photo taken in his Rochester Hills, Mich., apartment. Fowler, who had cerebral palsy, created a camp for children with disabilities. His motto in life had always been "just laugh".